Vanellope is the protagonist of the animated film Rompe Ralph, and soon we will see her again in the second part that is entitled Ralph Rompe Internet. 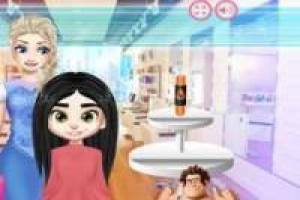 If you can not wait to see Vanellope again on the big screen, we offer you this game in which you' ll have to dress the girl like a real princess. It will have the help of the Disney princesses, who will become very friends in this new movie. You will have to make up the little one, we will take her to the hairdresser and finally we will choose a nice dress for her. This does not end here, because the hands are very careless of so many races, so it' s time for a good manicure. 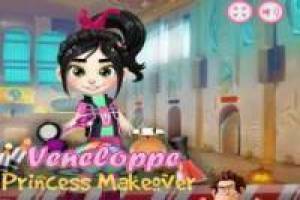 Have fun with this dress up game for Princess Vanellope by Rompe Ralph. Enjoy the game Dress up Princess Vanellope, it's free, it's one of our princesses games we've selected.